Tom Waits will guest star on The Simpsons this Sunday, January 6 on Fox. 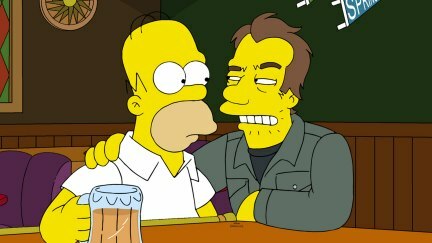 Waits will reportedly play himself as someone who helps introduce Homer to a community of survivalists, according to executive producer Al Jean. Waits also appears in the new film, Seven Psychopaths.